Is your website bland, difficult to navigate or impossible to read on a mobile device? Do potential customers visit your home page once and never return? Whether you require a website makeover or want to create one for a new business, Summit Web Design can provide you with responsive website design that will truly make a difference in your marketing efforts. More than 60% of customers in Australia will access your website via a mobile device, either a smartphone or a tablet. Responsive design from Summit Digital allows your website to be easily viewed across all platforms, whether desktop or laptop computer or mobile. If your website doesn’t work well on portable devices, you’ll be behind in the quest for customers. Not only that, Google and other search engines will rank your website lower in their matrix, making it more difficult to find your goods or services. 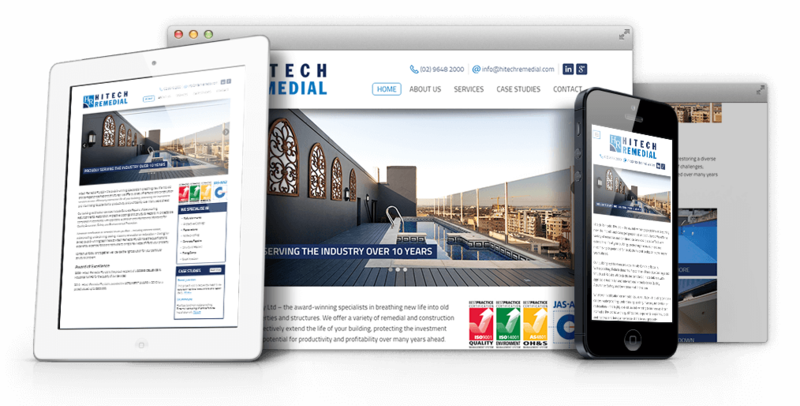 Our website design not only prevents such marketing mishaps from occurring, but gives you a slick, easy-to-use custom website that will maximise your business potential. When you partner with Summit Digital, you’ll have a website created on a platform that best fits your needs. We are specialists in WordPress, Adobe Business Catalyst and Shopify. As a full service web design agency, Summit Digital can also create content, manage your social media applications and use attention-grabbing SEO techniques that will give your cutting edge marketing that will far surpass what your competition is doing.